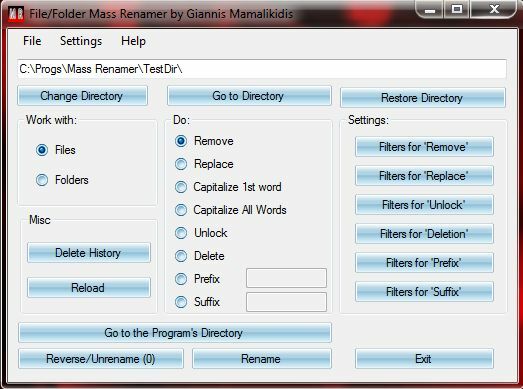 Mass renamer is a free, multilingual program that allows users to Mass Rename/Delete/Unlock Files and Folders. 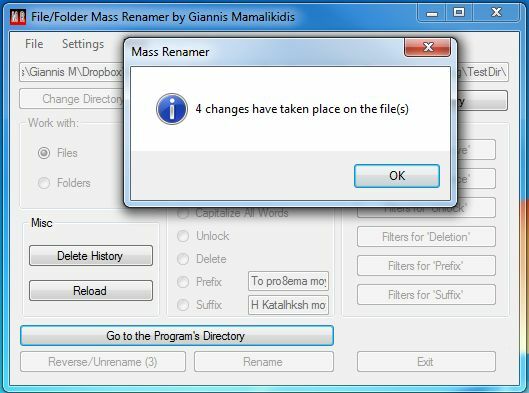 One would have to do 100 renaming for those 100 files, one for each. That being the very best case scenario. Now all you got to do is put the “Band_Name – Album Name – Something_Irrelevant – ” in the delete filter, push one click and all those songs will be renamed to have just their Songname! You’ve created your own files (whether they are painting files, text files or game files, it doesn’t matter), and you want to add your name to those files, or your company’s name. 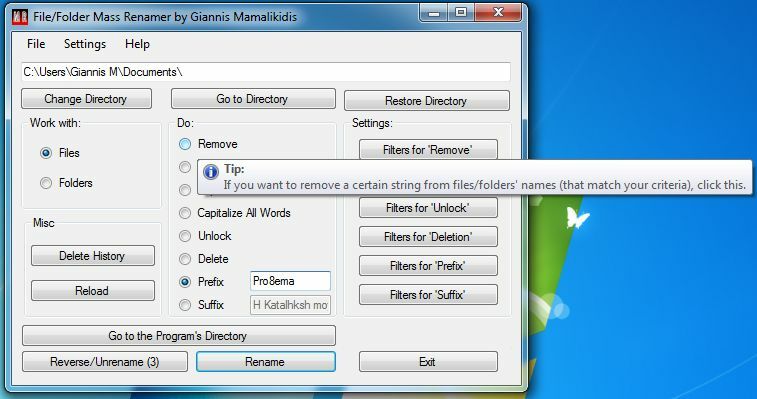 All you have to do, is put this name in the “Prefix”, put the “*” as filter, and push the “Rename” button! 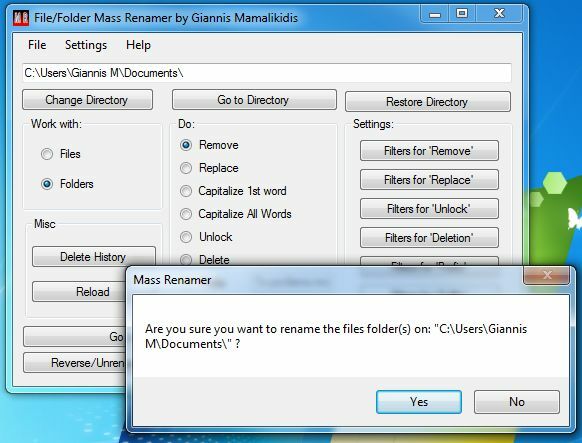 All files inside the directory you’ve specified will be renamed! 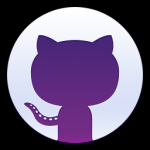 Please Read the “Arguments” page to get a clear view of the program’s capabilities, and how you can use it from a command prompt. 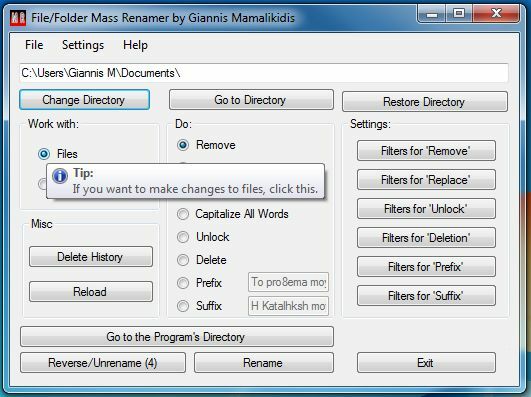 The program will ask you if you’re sure you want to do the renaming so as to prevent renaming by misclick (by the enter button for example). There are tooltips in every clickable control to ensure you fully understand what each control does. Second example of tooltips; It explains that the “Remove” radiobox will remove a certain (alphanumeric) string from the name of files or folders (depending on what you’ve chosen on the “Work With” group). When the renaming finishes, the program will tell you just how many changes have occurred during the procedure.